Quinault, R., Swift, R. and Windscheffel, R.C. (Eds. ), (2012). William Gladstone: New studies and perspectives. Ashgate. ISBN 978-1-4094-2046-0. Windscheffel, R.C. (2008). Reading Gladstone. Palgrave Macmillan. ISBN 978-0-230-00765-9.
in teaching and learning'. In Boncori, I. (Ed. 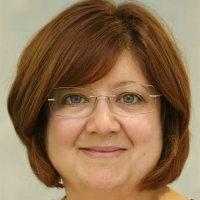 ), RACE, ETHNICITY AND INCLUSION: The University of Essex Reader Napoli: Editoriale Scientifica. ISBN 978-88-9391-273-0. Windscheffel, R. (2017). The Jezreelites and their World, 1875-1922. In Shaw, J. and Lockley, P. (Eds. ), The History of a Modern Millennial Movement: The Southcottians (pp. 116–139). I.B. Tauris. ISBN 978-1-78453-846-0. Windscheffel, R.C. (2007). Politics, Portraiture and Power: Reassessing the Public Image of William Ewart Gladstone. In McCormack, M. (Ed. ), Public Men: masculinity and politics in modern Britain (pp. 93–122). Palgrave Macmillan. ISBN 978-0-230-00763-5. Windscheffel, R.C. (2012). Dancing to the music of time: Modernity, secularization, and incarnation. Nineteenth Century Prose, 39(1-2), pp. 49–57. Windscheffel, R.C. (2007). Gladstone and Scott: Family, identity, and nation. Scottish Historical Review, 86(1), pp. 69–95. doi:10.3366/shr.2007.0054 . Windscheffel, R.C. (2007). Gladstone and Scott: family, identity and nation. The Scottish Historical Review, 86(1), pp. 69–95. doi:10.1353/shr.2007.0054 . Windscheffel, R.C. (2006). Politics, Religion and Text: W.E. Gladstone and Spiritualism. Journal of Victorian Culture, 11(1), pp. 1–29. doi:10.3366/jvc.2006.11.1.1 . Windscheffel, R.C. (2004). Gladstone, Tennyson and History: 1886 & all that. Tennyson Research Bulletin, 8(3), pp. 151–165. Windscheffel, R.C. (2001). W. E. Gladstone: an annotation key. Notes and Queries, 48(2), pp. 140–143. doi:10.1093/nq/48.2.140 . Quinault, R., Swift, R. and Windscheffel, R.C. (Eds. ), (2013). William Gladstone: New studies and perspectives. Ashgate. ISBN 978-1-4094-4934-8. Windscheffel, R.C. (2012). Introduction. In Quinault, R., Swift, R. and Windscheffel, R. (Eds. ), William Gladstone: New Studies and Perspectives (pp. 1–12). London: Routledge. ISBN 978-1-4094-2046-0. Windscheffel, R. (2010). The Gladstone Diaries. In Palmer, R. and Brown, M. (Eds. ), Lambeth Palace Library Treasures from the Collection of the Archbishops of Canterbury (pp. 156–157). Scala Books. Windscheffel, R. (2008). The English Cult of Literature: devoted readers, 1774-1880 (W. McKelvy) (Book Review). Victorians Institute Journal, 36, pp. 335–339. Windscheffel, R.C. (2007). Gladstone and Dante: Victorian Statesman, Medieval Poet (A. Isba) (Book Review). The English Historical Review, CXXII(498), pp. 1101–1103. doi:10.1093/ehr/cem189 . Windscheffel, R.C. (2007). Slumming: Sexual and Social Politics in Victorian London (S. Koven) (Book Review). The English Historical Review, CXXII(495), pp. 272–274. doi:10.1093/ehr/cel454 . Windscheffel, R.C. (2006). Politics, Religion and Text: W.E. Gladstone and Spiritualism. Journal of Victorian Culture, 11(1), pp. 1–29. doi:10.1353/jvc.2006.0017 . Clayton, R. (2003). Masses or Classes? : The Question of Community in the Foundation of Gladstone's Library. Library History, 19(3), pp. 163–172. doi:10.1179/lib.2003.19.3.163 . Windscheffel, R. (2002). Gladstone’s Library and the Cultural Organization of Knowledge. Leeds Working Papers in Victorian Studies, 5, pp. 91–109. SEDA Winter Conference. (Conference) Cardiff (2017). Description: This paper considered the challenges and potential benefits involved in developing collaborative pathways to professional recognition by reviewing a recent University of Essex initiative to develop an accredited Collaborative Award. University of Essex Teaching and Learning Conference. (Conference) Colchester (2017). Organising Committee. Sight, Sound and Text in the History of Education’, History of Education Society/ANZHES Conference. (Conference) Malvern, UK (2016). Academic Development Workshop Programme, University of Essex. (Workshop) Colchester, UK (2016). Organising Committee. University of Essex Teaching and Learning Conference. (Conference) Colchester (2016). Organising Committee. ‘Christianity and Migrations’, Spring Meeting of the American Society of Church History. (Conference) Grand Rapids, MI, USA (2011). Prophecy Project Seminar, Faculty of Theology, University of Oxford. (Seminar) Oxford, UK (2010). ‘“The Bridegroom cometh!”: Prophets and prophecy in the long eighteenth century’, Nottingham Trent University. (Conference) Nottingham, UK (2009). ‘Reading in the Age of Gladstone’, University of Liverpool. (Conference) Hawarden, UK (2009). Invited speaker. Nineteenth & Twentieth Century British History & Politics Seminar, Faculty of History, The University of Oxford. (Seminar) Oxford, UK (2008). Invited speaker.